Barely a few weeks have passed since the unveiling of the OnePlus 2 and yet already, we're in deep discussion about the so-called OnePlus Mini / X, which are probably the same device. Only last week, a OnePlus device was revealed following its approval by the FCC, in a revelation that also spawned a couple of images. Now, a new report from GforGames cites an anonymous tip-off in outlining some very interesting features of the next OnePlus handset, including a ClearForce-ready display akin to what's been rumored for the Samsung Galaxy S7. One of the killer features of Apple's latest smartphone duo is Force Touch, and ClearForce offers similar functionality for those running non-Apple gadgets. Per this report, the OnePlus Mini / X will pack a 5-inch, 1080 x 1920 display, apparently the same as the one used with the Xiaomi Mi 4c. Given that the Mi 4c uses the ClearForce-ready Synaptics S3708 touchscreen controller, the forthcoming OnePlus device could follow suit, although full-on ClearForce support seems a tad far-fetched for a mid-ranger. One of the major draws of the Mi 4c is its special 'SideTouch' technology, which allows users to quick-start apps or fire up the camera by touching the left-hand side of the display. It's possible that the next OnePlus device might do likewise, which would definitely pique the interest of those seeking unusual quirks. Once again, though, we're not expecting the OnePlus Mini / X to be anything like a high-end smartphone, and the idea of the device including any kind of pressure-detection tech seems more in hope than expectation. Aside from the display, the tipster believes that there'll be dual front-facing speakers and a 13-megapixel Sony IMX258 taking care of photo and video-related duties. The shooter will apparently forgo optical image stabilization (OIS), instead favoring a combination of phase-detection autofocus (PDAF) and electronic image stabilization (EIS). Elsewhere, the OnePlus handset will offer an FM radio, NFC, IR blaster and will have removable StyleSwap covers. Despite this, the battery will apparently be fixed, in order to preserve the integrity of the device's IP67 rating and wireless charging facilities. Before now, it has been mentioned that the new OnePlus phone will be powered by a MediaTek MT6795 SoC chip. Instead, though, the company may favor Snapdragon's 801. Completing this expansive round-up of new info, the OnePlus Mini / X may offer 2 GB of RAM, which seems perfectly reasonable for a mid-range device. Any more, and OnePlus would have a lot of peeved OnePlus 2 owners; any less, and it'd probably be cast off as entry-level. 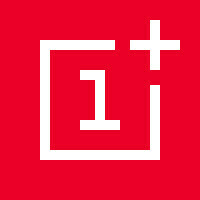 It had been reported on numerous occasions that the OnePlus Mini / X would be unveiled today, October 12th. However, the source of the report indicates that this will not be happening, with OnePlus instead looking to ramp up a decent amount of hype before the launch. We'll be keeping an eye out for more info, so stay tuned. 801? Isn't that thing like a year old? Step up your game! To be honest, it is the best SoC from Qualcomm past 2 years. I would take this over 808 or 810.
the 805 is better, anyway the 801 was great too. it's just over 2 years old, it's the same as the 800 with one minor change to flash storage support. It's called mid-range for a reason, and 801 is a pretty great mid-range chipset by today's standards. 801? At the most 805 or even a 615. 615 is weaker than 801. weaker than 800 too. 805 kinda for phones with 2k displays IMO. It can handle 2K but it doesn't have to be 2K. Huawei really succeeded starting the trend of pressure sensitive displays that work with fingers. "It had been reported on numerous occasions that the OnePlus Mini / X would be unveiled today, October 12th. However, the source of the report indicates that this will not be happening, with OnePlus instead looking to ramp up a decent amount of hype before the launch." Yes, because we all know that if there one thing OnePlus is good at it is hype. Now shipping product...? If they'd at least announce it today, I might be able to wait and see what it's worth. But I need something soon, and the leading candidate right now is the Z5 Compact. Xiaomi Mi4c doesn't support ClearForce, SideTouch only. They should use helio x10. The have OPO with 801 selling for 250-300 i think. OPO is still a solid phone on performance. Helio x10 with 2gb ram for 199 usd would be good for their smartphone range. Buyers will have diff. options when buying. I think SD 801 is old chipset but it is still the most stable and battery saving chipset in SD 8 series. OnePlus can't even get their announcement dates right.